On the show, “What Counts As ‘Hate Crime’ in 2017,” Professor Chavis discusses the recent uptick in hate crimes and how the United States DOJ might respond. In 2015, Professor Chavis was appointed as a Senior Academic Fellow at the Joint Center for Political And Economic Studies. She has substantial practice experience and writes and teaches in areas related to criminal law, criminal procedure and criminal justice reform. After receiving her J.D. from Harvard Law School, she worked as an associate at private law firms in Washington, D.C., where she participated in various aspects of civil litigation, white-collar criminal defense, and internal investigations. In 2003, she became an Assistant United States Attorney for the District of Columbia, involving her in a wide range of criminal prosecutions and in arguing and briefing appeals before the District of Columbia Court of Appeals. Professor Chavis frequently makes presentations on law-enforcement issues and is a leader in the field of police accountability. 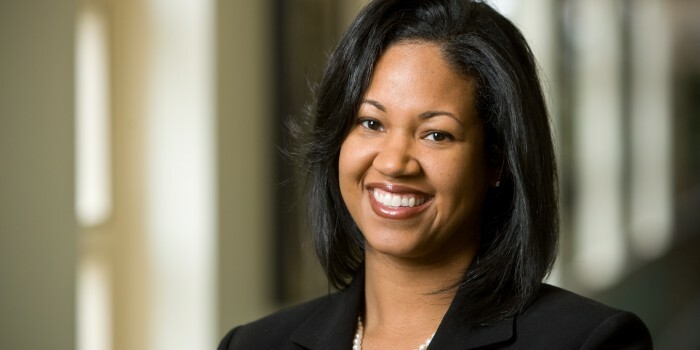 Her articles have appeared in the American Criminial Law Review, the Ohio State Journal of Criminal Law, The Journal of Criminal Law and Criminology, the University of Alabama Law Review, and the Catholic University Law Review, and other legal journals. Her research focuses on using Cooperative Federalism principles and stakeholder participation to implement sustainable reforms in the criminal justice system. She writes in the areas of police and prosecutorial accountability, federal hate crimes legislation and enforcement, and racial profiling. She was elected to the American Law Institute in 2012.